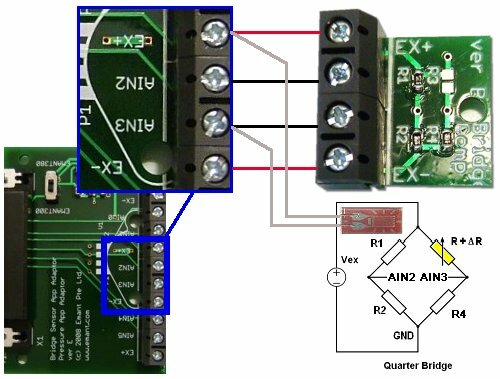 The Bridge Completion Network is used to complete quarter and half bridge strain gauge circuits. where RG is the resistance of the undeformed gauge, ΔR is the change in resistance caused by strain, and ε is strain. ΔR is typically in the region of 0.1%. 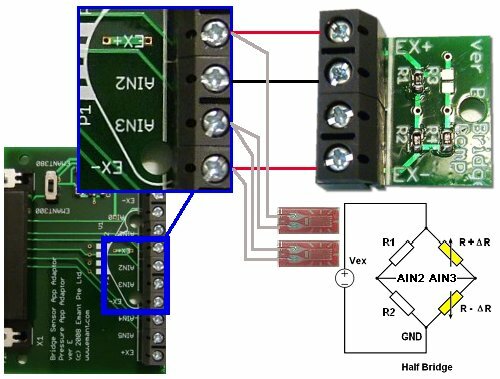 To measure such small resistance changes, a Wheatstone bridge is employed. 3 configurations are used - quarter bridge, half bridge or full bridge. 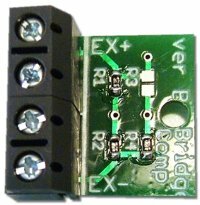 Resistors are used to form the bridge in the quarter bridge and half bridge. and ΔVO is the change in voltage output of the wheatstone bridge from strained to unstrained (seen at the differential input AIN3, AIN2). 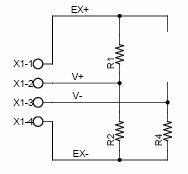 VEXC is the excitation voltage.